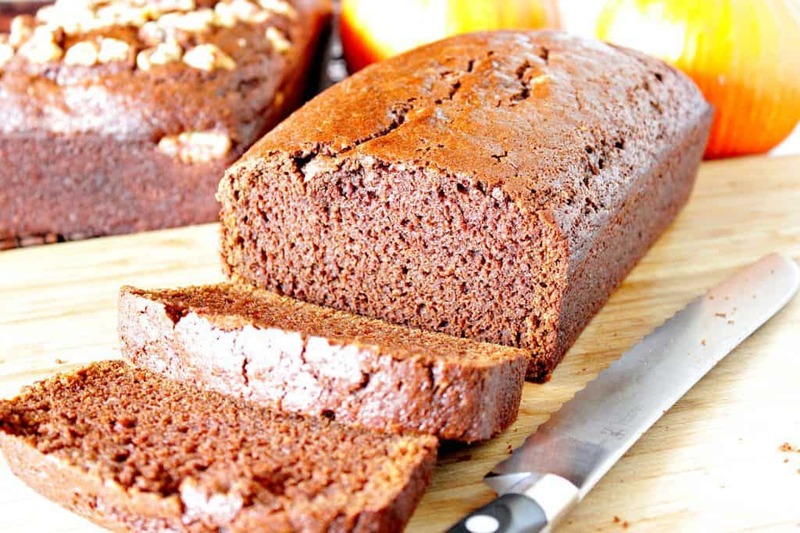 Chocolate Bread Recipe with Pumpkin & Cloves is a rich, dark chocolate bread with a mild spicy aroma of cloves and the seasonal flavor of pumpkin. 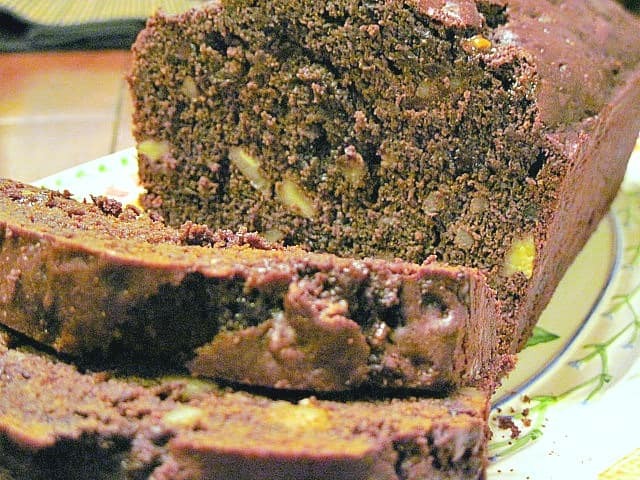 This easy chocolate bread recipe is sure to be a hit no matter what time of year you serve it! When I think of the scents that evoke warm holiday memories, for me cloves are in my top three favorites, along with cinnamon and nutmeg rounding out the list. 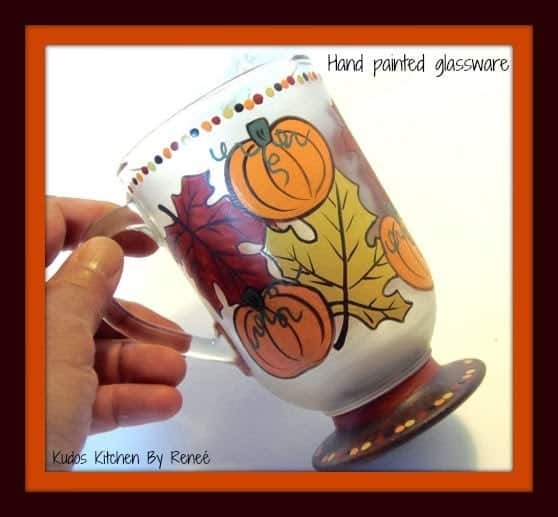 **Please Note – The printable recipe card with detailed instructions and complete ingredient measurements for making Warm & Spicy Chocolate Bread Recipe with Pumpkin is available near the end of this post. Sometimes when I’m looking for that cozy aroma and feeling, but I don’t have time to bake, I’ll fill a small saucepan with water and add some cinnamon stick, an already used nub of nutmeg, a scant tablespoon of cloves, and maybe orange and or apple peel. I then simmer it low and slow on the stovetop all day, making sure I replenish the water as it simmers away. It never fails to brighten my day and brings me immediately into the holiday mood. For me, the aroma is intoxicating and uplifting. Speaking of intoxicating aromas, when you smell this Quick Chocolate Bread with Pumpkin & Cloves that I made for November’s participation in #TwelveLoaves “spice edition” baking in the oven, you’ll swear it’s Thanksgiving, even if it’s the middle of summer! 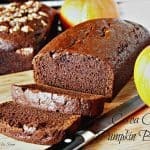 This easy chocolate bread recipe Quick Chocolate Bread with Pumpkin & Cloves has a deep rich color and a deep rich flavor with just a hint of cocoa along with a hint of cloves and a hint of pumpkin. The combination of each of these flavors marries perfectly with one another but none of these strongly flavored ingredients overwhelm the other. For the nut lover, I added walnuts to one loaf and left the other loaf nut-free. I tend to prefer the nuts, but not everyone does. Whatever your preference, this is a quick bread that will soon become one of your absolute holiday (or anytime) favorites. In a large bowl blend the eggs, granulated sugar, brown sugar, oil and maple syrup. In another bowl, whisk the flour, cocoa powder, baking soda, baking powder, salt, and cloves. Add the dry ingredients to the wet ingredients and blend until combined. Add the pumpkin puree into the batter and mix well. Pour the batter into two prepared loaf pans that have been sprayed with baking spray, adding walnuts if desired. Bake in a preheated 350-degree oven for 60 minutes, or until a toothpick inserted in the center comes out clean. Cool on a rack for 30 minutes and remove the loaf from the pan to cool for an additional 40 minutes. In a large bowl, beat together the eggs, sugar, brown sugar, maple syrup, and oil. In a second large bowl, whisk together the flour, baking powder, baking soda, cocoa powder, salt, and ground cloves. Slowly add the dry ingredients to the wet ingredients and blend until just combined. Stir in the pumpkin puree, and walnuts (if desired) until completely incorporated. Pour the batter evenly into two loaf pans that have been liberally sprayed with baking spray. Bake in a preheated oven for 60 - 70 minutes, or until a toothpick inserted in the center comes out clean. Cool on a wire rack for 30 minutes. Turn the bread from the pans and cool for an additional 40 - 60 minutes. Hand mixer or stand mixer, 2 loaf pans, baking spray, 2 large bowls, wooden spoon, whisk, spatula, measuring spoons, measuring cups. I sincerely hope you’ve enjoyed the recipe for this cocoa powder bread recipe with pumpkin & cloves as much as I’ve enjoyed bringing it to you! 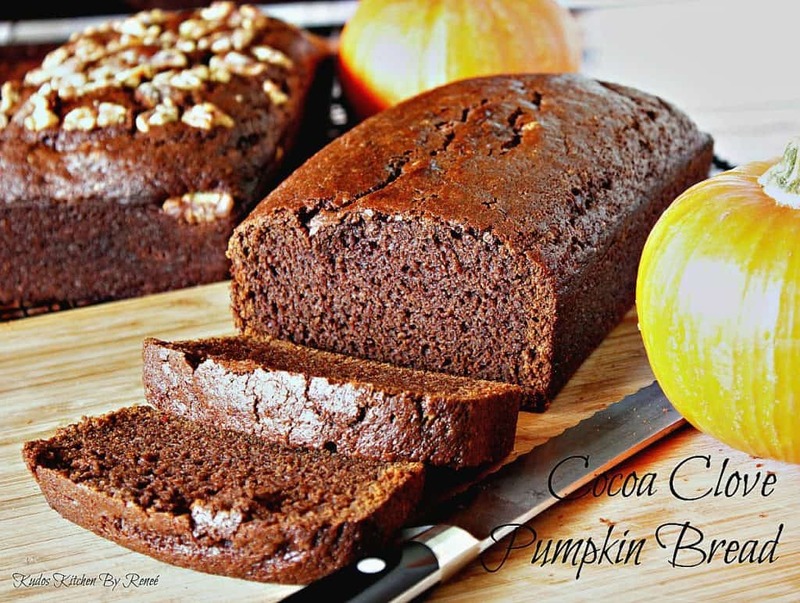 It is now time to grab yourself a nice slice of Quick Chocolate Bread with Pumpkin & Cloves along with a hot cup of coffee or a nice pumpkin spice latte. Should you have any questions regarding this post for Quick Chocolate Bread Recipe with Pumpkin & Cloves, or anything else you’ve seen on my site, please don’t hesitate to contact me directly or leave me a comment in the comment section below. It is always my distinct pleasure to get back to you with a reply just as soon as I possibly can! Ooh, I love the idea of adding chocolate to pumpkin bread! Yours looks moist and wonderful! That bread sounds wonderful! Such a great fall treat. Another great loaf from your kitchen! I prefer nuts but I'm pretty sure I'd enjoy a slice of each. I had such a bad experience with cloves when I was a teenager, that I kind of omit it now. But this bread looks amazing Renee! Cocoa makes all spices better, and viceversa! Oh, that smell – I bet it's magical! I love nuts in my quick breads, but my kids hate them. Grrr. So, I like recipes that two loaves ;). Twelve Loaves surprises me recipe after recipe. Your moist, beautiful slices look divine! It looks like a delicious way to start the day! I really don't know why but I always seem to associate cloves with ham. I need to remedy that and check out this flavor combo with chocolate and pumpkin. What a lovely bread. I bet it smells incredible when it is baking. Looks delicious Renee. Such a wonderful combination of flavors. I rarely celebrate cloves. They're usually mixed in with other spices and singing harmony so to speak. This combination is new to me and something I would be excited to try! I can't wait to have the fragrance of this bread wafting through my home. 🙂 Thank you for baking this! I can smell the cloves from here!